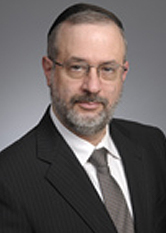 Louis Weinstein is a registered patent attorney with a diverse background and extensive experience as lead counsel in Hatch-Waxman litigations. He has been responsible for all aspects of litigation in numerous generic challenges to innovator drugs, including: Plavix, Lamisil, Avelox, Prozac 90, Lotrel, Namenda, Prilosec OTC, Amitiza, Fetzima and Otezla. His client counseling duties include the drafting and supervision of opinions on patents covering compositions of matter, pharmaceutical formulations, methods of treatment and industrial processes. Mr. Weinstein’s experience also includes inter partes review before the Patent Office, as well as the handling of environmental and mass tort litigations, and overseeing environmental remediations. He holds a B.A. in Chemistry and Mathematics from Amherst College (1979), M.S. degrees in Industrial Administration and Chemical Engineering from Carnegie-Mellon University (1983), a Certificate in Accounting from the University of Pittsburgh (1989), and a J.D. from the University of Chicago (1990).